In this post, I will look at the parallels between Corporate Strategy and Portfolio Management or the strategic management of projects. Strategy , w.r.t businesses , is defined at 3 levels. The topmost is what we commonly term as corporate strategy , where strategy is looked at in terms of the businesses owned by the corporate entity. It can even be considered as a portfolio of businesses owned by the company , the aim which is to maximize ROI of the funds invested by the company. You might recognize the parallels to having an investment portfolio, where you have your funds invested in varying units in stocks, bonds and money market funds. The goal is to diversify and minimize risk. The next level is what we can term as business strategy or strategy at the level of Strategic Business Units (SBUs). Here, each business outlines its position , its vision, its mission and aligns its strategy to meet to those broad,high-level goals. A strategic business unit may have a line of products and/or services that are usually inter-related. Finally , we have what we call operational strategy or in common parlance tactics. This has got more to do with the day-to-day operation of the business or basically how we keep the business unit a ‘going concern’. 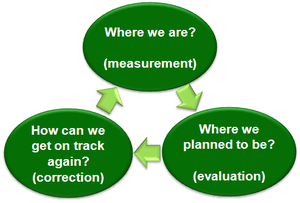 Now when we come to projects or Project Management , let us first define what a project is. A project is a temporary body put together to achieve a specific purpose or goal. It has a definite start and end. I would even term it a temporary company since almost all the functions of a business unit or corporate entity are embedded in a project’s functioning, albeit on a much smaller scale. A mature organization also has 3 levels at which it manages its projects. 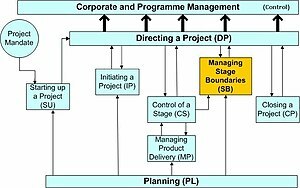 The topmost level is what is termed Portfolio Management , where all the programs/projects in the organization are clubbed. This ensures that programs/projects are managed scientifically and rationalized so that resources and dollars are utilized in the most cost efficient manner possible. 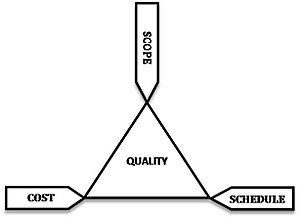 Finally the lowest level is Project Management , that is management of a project by a Project Manager to meet a specific goal. A project by itself may build products that are to be consumed by other projects or another program. A project has a definite start and end. It is a temporary organization. 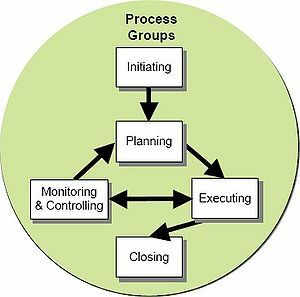 Thus the structure of corporate organizations and mature projectized organizations have some striking similarities. The differences are for another post altogether! This entry was posted in IT, Management, Professional, prose and tagged business strategy, corporate strategy, operational strategy, portfolio management, Program Management, Project Management. Bookmark the permalink.